Cd8 specials for pre-orders and an example! Have you ordered yours yet? The Technique Junkie Newsletter CD8 will be here in a few short weeks and you will want to be sure to order your copy! Renewal and the CD is $29.95 for subscribers (US). The CD is $14,95 for subscribers if purchased separately, or 19.95 for non-subscribers (US addresses). Make sure to email me today for an invoice from PayPal (or send a check to my PO Box) -- that special deal will not last forever! Remember that the CD contains 100 step-by-step techniques -- with pictures for each step AND all of the design team artwork. The CD covers the issues from 10-09 to 8-10, PLUS has 10 bonus techniques. All of the tutorials are in pdf format and print perfectly onto 8-1/2" x 11" paper. Below is a preview of a technique from one of the 10 bonus tutorials on the CD. See those pretty purple flowers? They are custom-made to match my card using the Faux Felt Technique. You will just not believe what they are made out of! Order your CD (and renew) today -- what are you waiting for? I Brake for Stamps Giveaway! 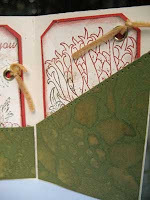 If you subscribe to the Technique Junkie Newsletter, you know just how easy the Worn Wallpaper Technique (from the August 2010 issue of the Technique Junkie Newsletter) is. 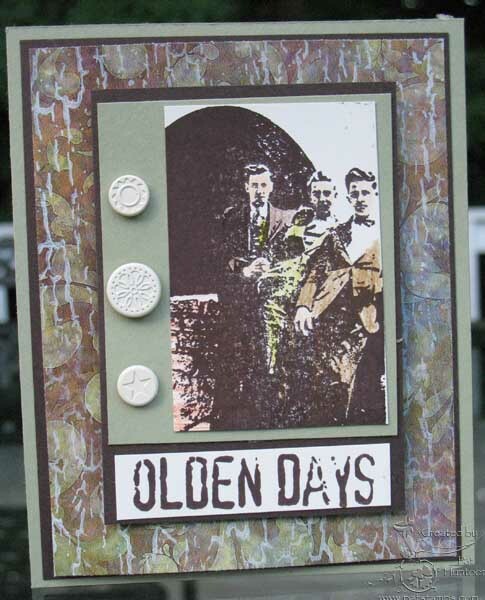 The card above uses it with I Brake for Stamp Olden Days images from the Time to Stamp Line (the full sheet is HERE. It is an easy technique -- as long as you have the right background stamp. Go take a look at what I Brake for Stamps has to offer. New stamp sheets were just added, too. There is an amazing variety of gorgeous stamps on the IB4S website. While shopping, Technique Junkies can use the code TJ10 for 10% off their orders, too. I Brake for Stamps has been a loyal advertiser to the Newsletter since I started accepting advertisers in October 2008. In fact, IB4S has never missed advertising in any issue! I am so grateful for her support. Please show Della how much we TJers appreciate her! To enter this giveaway, leave your comment on this post along with your email address so that I can contact you if you win. You may want to leave it in this format: p huntoon at optonline dot net. My handy number generator will select one lucky winner on Monday, August 16th at 9 am.Good Luck! The winner of this giveaway is Ellen Crawley! Congratulations, Ellen! Today is Friday -- Blogger's Challenge day! Our challenge today was to create a birthday card. My card uses the Splash 'n Stick Technique from the August 2010 issue of the Technique Junkie Newsletter for the butterfly and dragonfly. the background is a piece of Faux Metal from the June 2010 issue of the Newsletter. When I was creating this, the thought that the swirls from the background looked like the path of a butterfly in flight kept going through my mind. Does it look that way to you? If you would like to see what the other Blogger's Challenge players created today, simply click on the Blogger's Challenge banner on my sidebar -- this is one fabulous group of creative ladies! The birthday sentiment stamp is from Stampin' Up!. P.S. Dare I say it? These techniques can be found on the Cd8, which will be mailing in less than a month. did you order your copy yet? Email me for details. 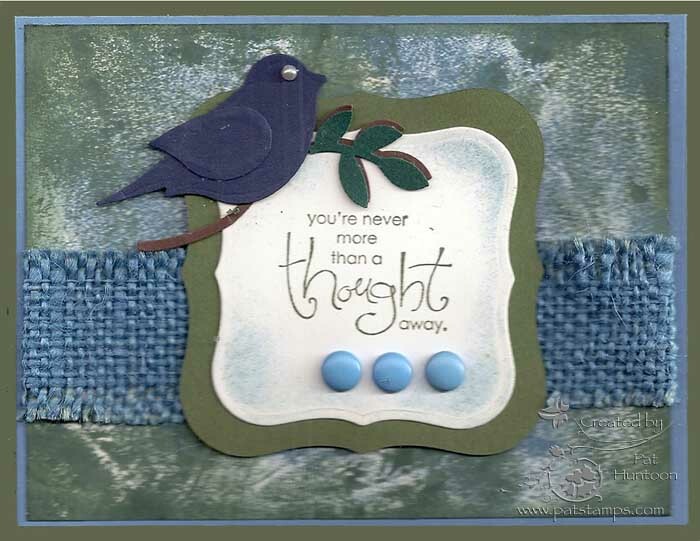 Today's Try that Technique is the Gated Tag Card from the February 2008 issue of the Technique Junkie Newsletter. What you see above is the INSIDE of the card -- with the tags. 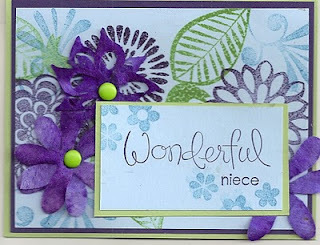 My Gated Tag Card uses the Arts and Crafts kit from Club Scrap. I love the stamps and paper from this kit. So elegant and beautiful! 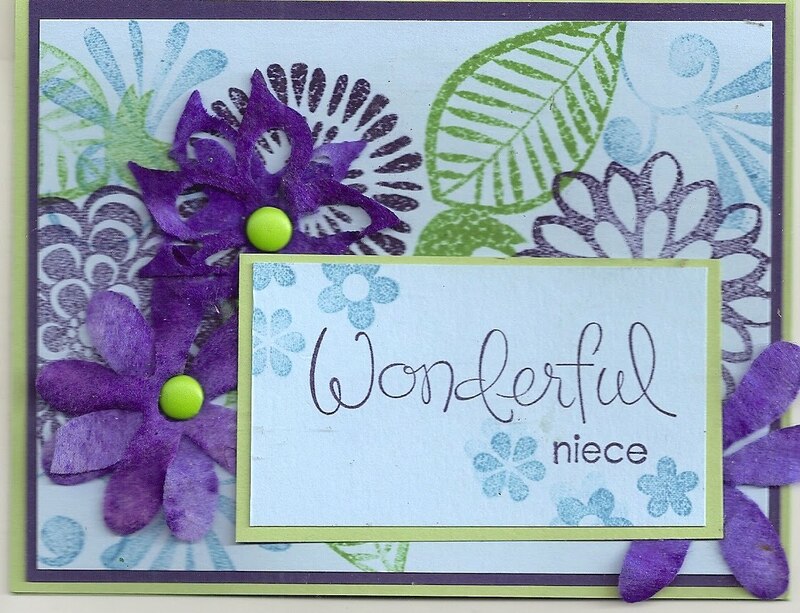 I chose to stamp my tags and the outside of the card with colors from the designer paper; I used markers to color the separate areas of the stamps. 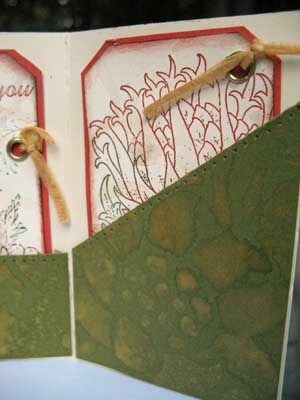 On the inside of the tag packet, I used the stencil from the kit and sprayed Glimmer Mist over it to get the gorgeous designs onto the olive card stock. Do you ever fall in love a little bit when you create? I fell in love with this card...just a little bit. 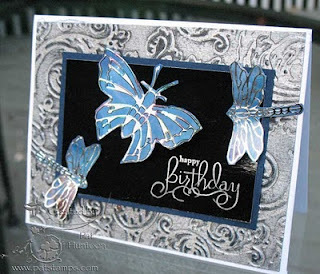 Make sure to check out Beth's card, too, on the TJ Design Team Blog. That girl can STAMP! Just a quick story about the Club Scrap Kit...last week, I received my kit mid-week and I was smitten. Sometimes I am hesitant to cut into my kits; they are just too pretty to violate! Lately, though, I am on a mission to actually use them and spread the joy of their existence. When I received this last week, I quickly went about making the Try that Technique card -- because I mistakenly thought LAST week was Gated Tags. I had to wait a WHOLE week to display this card! 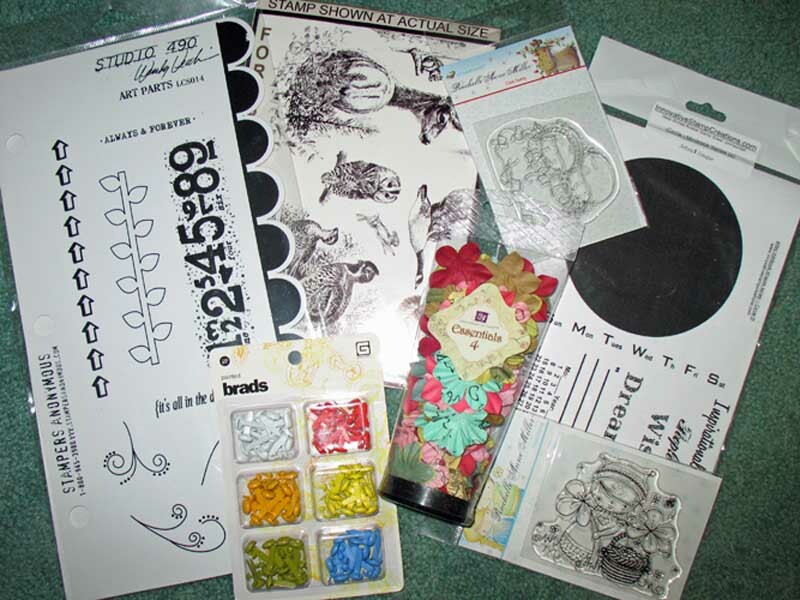 Creative Cuts and More Shopping Spree! I am thrilled to bring you our newest Technique Junkie Advertiser and Giveaway Sponsor today : Creative Cuts and More. Today's giveaway features one of the many beautiful Die Cut items that you can order from CCM...The Tiffany Purse. I decorated my purse with the Glimmer Lace Technique from the August 2010 issue of the Technique Junkie Newsletter. I love this little purse -- no tape to assemble -- and it will be sent to the winner of today's giveaway: the winner of a $25.00 Gift certificate from Creative Cuts and More! One lucky winner will receive a $25.00 shopping spree from Creative Cuts and More!! Twenty-Five dollars goes a long way here. Why don't you go take a look yourself? Don't forget that Technique Junkie members receive a 10% discount, too -- just use the code tj10%0810 through the end of this month! 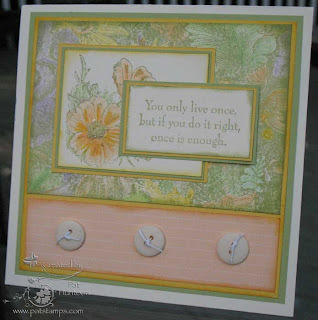 Creative Cuts and more is having a Blog Hop Today, too! The Blog Hop is full of baby and bridal shower ideas. 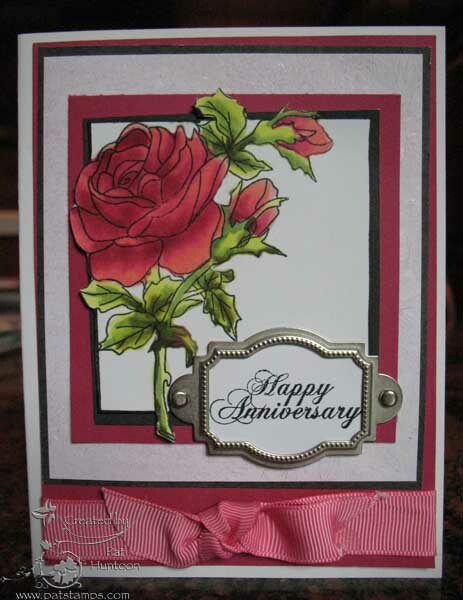 CCM has several designers who have created amazing projects with their die cuts. Plus, CCM is ALSO hosting a give-away. Just hop on over to check out the eye candy and have a chance to win one of the Cake Slice Box Set – Two Tier. Check out the hop at www.diecutdiva.com. The winner of this giveaway is Cyndi Brogan! Congratulations, Cyndi! Dang it all! I must be nuts! 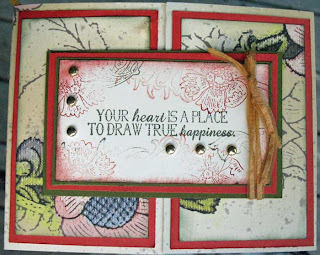 I was stamping with my friend Jinny (who, I think, has more stuff than me, if that is possible!) and decided to try out her Kitchen Sink Stamps. I shouldn't have picked them up, though -- I went home and placed an order for them. I love the color coded indexes for layering the stamps -- easy peasy! In any case, a background with the Acrylic Emboss Technique from the August 2010 issue of the Technique Junkie Newsletter. I love how this background turned out with the wood -- the hardest part of this technique was waiting for the paint to dry! Today is Friday, and that means it's Blogger's Challenge day. 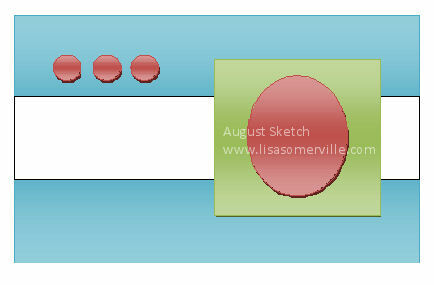 Today's challenge was to use the sketch provided to create a card. 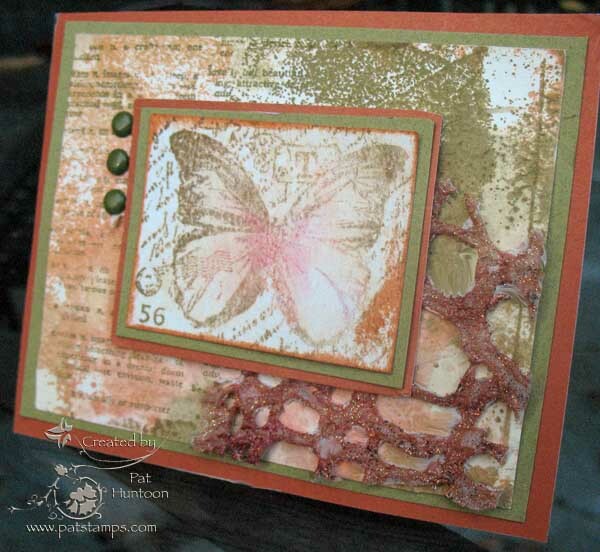 My card uses the Worn Wallpaper Technique from the August 2010 issue of the Technique Junkie Newsletter for the background. I cheated a bit on that, using vanilla in place of the white and embossing it with Tim Holtz's Distress Embossing Powder. It is really fabulous in person! The card stock and stamps used on this card are from Club Scrap -- my new pizza box came on Wednesday, and I was anxious to tear into it! 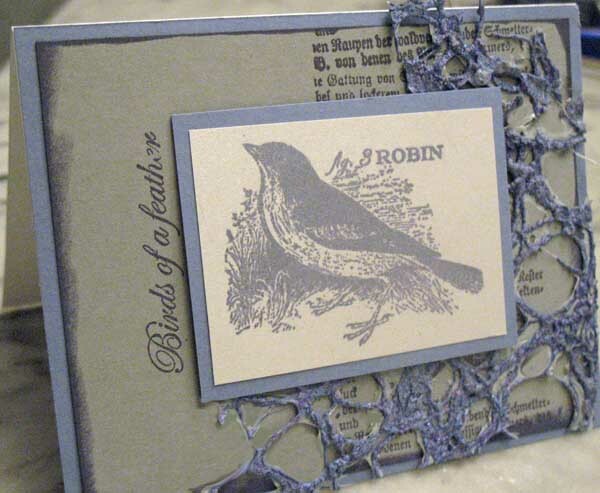 The papers and stamps are exquisite in this month's kit -- you will be seeing more of it next week. If you are interested in seeing some great art, click on the Blogger's Challenge banner on my sidebar for the list of BC players. Have a great weekend! P. S. The Worn Wallpaper Technique will also be on CD8 -- have you ordered yours yet? Today is Try that Technique day with the Technique Junkies! 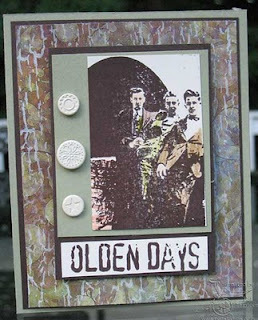 If you have not seen it yet, Beth Norman has posted this week's technique on the TJ Design Team Blog: Textured Tape from the October 2005 issue of the Newsletter. Beth's creation is beautiful and inspirational. I love the richness of her colors. I couldn't help myself this week. I created TWO cards. One, of course, is posted above, and the other is posted HERE on the TJ Design Team Blog. The one above uses a Textured Tape Background. the saying uses the Wisped Frames Technique from the February 2010 issue of the TJ Newsletter to highlight the saying. The bird is a punch. 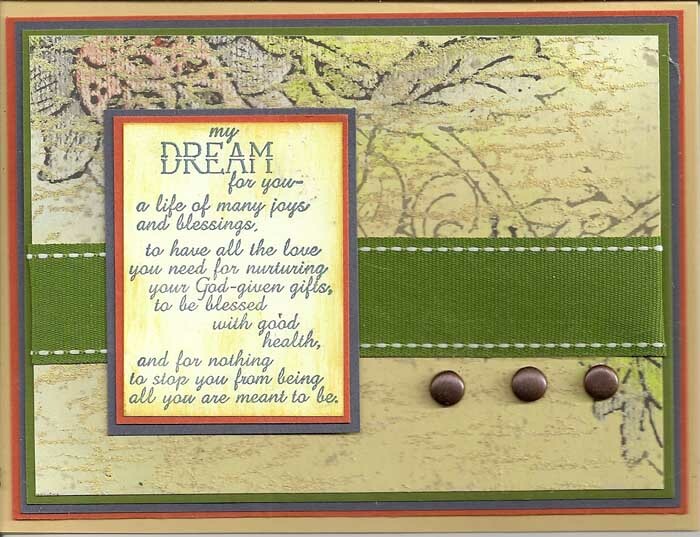 both are from Stampin' Up!. Don't forget that CD8 is now available for pre-order, too -- and the tutorial for Wisped Frames is on that CD! Just $14.95 for subscribers, or $29.95 for a subscription renewal and the CD. Email me for an invoice if you are interested! Now, go Try that Technique! See what I mean? 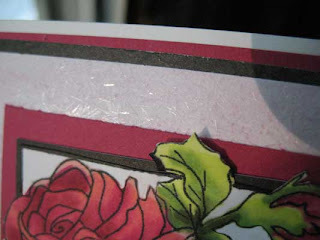 My Ice Crystals were tinted with just a hint of rose re-inker to give them a little bit of color. Such an easy, unique technique!! 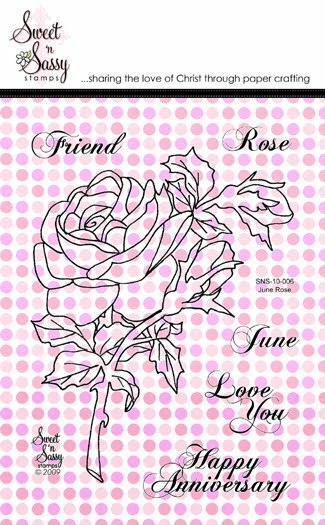 Did you know that Technique Junkie Subscribers receive 10% off their orders at Sweet 'n Sassy Stamps? Simply put tjnrocks as the coupon code for your discount. 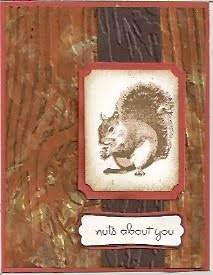 Go take a look at the 11 new sets that Sweet 'n Sassy Stamps just rolled out! To enter this giveaway, simply leave a comment on this blog and leave your email address. (I have a surprising number of comments each week from someone named "anonymous", and without an email address, that person NEVER is selected...). My random number generator will select a winner on Monday, August 9th. Good luck! Congratulations to Lynda Hill, the winner of this giveaway! August Sketch and Blog Hop! Hi! Welcome to the final stop of the August 2010 Technique Junkie Newsletter Blog Hop. I hope you arrived here from Chris Dickinson's blog (and I hope her gorgeous Zig-Zag Accordion Card Inspired you!) , but if you didn't, take a minute or two to join us at the beginning of the Hop on the TJ Design Team Blog HERE. You won't want to miss all of the stunning artwork the designers have in store for you! My card on the final leg of this stop uses the sketch from the August issue, of course. I used the Pencil and Ink Technique (also from the August Newsletter) for the top panel. I also used the Soft and Sparkly Technique in the middle of the flower on the front of the panel, too! 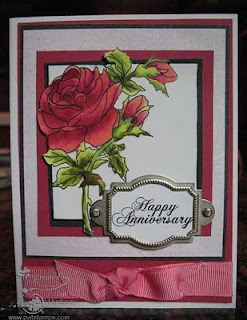 I love how soft, pretty and feminine this card turned out! 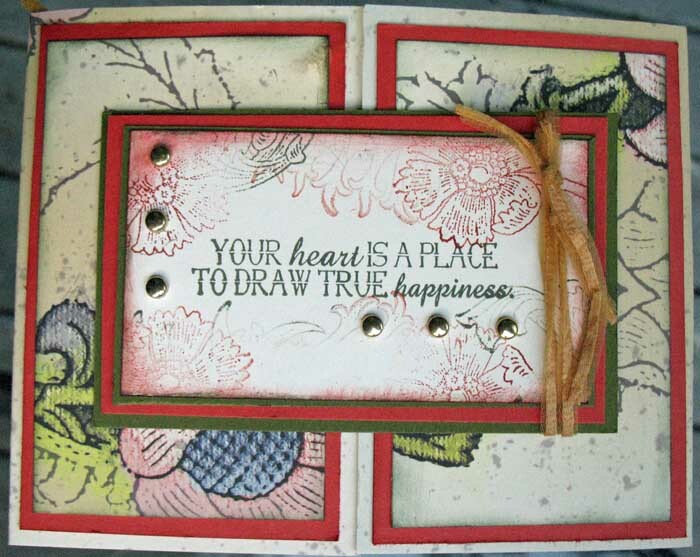 The Background with the Pencil and Ink uses the Engraved Flower stamp from Alluring Impressions. 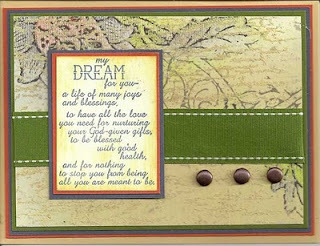 I think it is one of the most versatile backgrounds I have in my stamp studio! All of the other stamps are from Stampin' Up!. 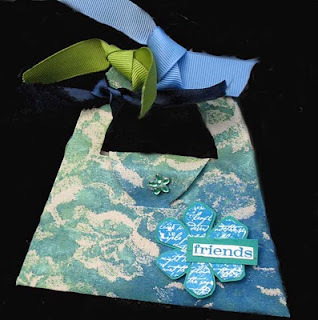 The Artsy Mini Book Shape Series - Circle from Innovative Stamp Creations. PLUS the winner will be featured from September 15th through October 1st on the Technique Junkie Newsletter Artwork-Only home Yahoo home page! To enter, simply email your submission to me at phuntoon@optonline.net. You do need to be a Techique Junkie to enter, and you need to use ONE technique on your submission to be eligible. Submit your entry by September 14th. Thanks for playing -- I can't wait to see your interpretation of the sketch!